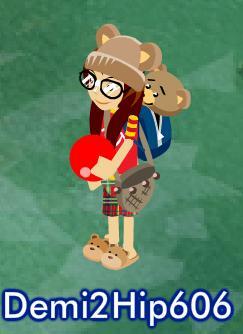 Bearville Insider Forum > Virtual Sandbox! > Beary Fashionable! Since I can't take a picture I'll describe it. A red ruffle skirt, gray leggings, Puppy Love PJ Boots, black tube top, Holly bow ( red ), Domino Mask. Anyone know where the Domino Mask is from? How do you take pictures? I like the outfit rating idea. 1) Go on BABV and press "Print Screen." It is located around the top right of your keyboard where all the F11, F12, ect are. This is located on the left corner where it says "Start." Then go to "All Programs" From there, click on "Accessories." You'll find "Paint" in that section. OR: If you have a search bar, which is located in "Start," simply type in "Paint." 3) Once you're there at "Paint", click on "Edit," which is on the top bar. From there, click on "Paste." 4) Now, the picture you've print screened will appear. Alright, thanks!!! It was very helpful. Thanks, I really liked your outfit!